On February 9, 2012, the United States Attorney’s Office for the Northern District of California reported the sentencing of two individuals for committing bank fraud. http://www.justice.gov/usao/can/news/2012/2012_02_09_roscoe.sentenced.press.html. Based on the second superseding indictment in the matter (U.S. Dist. Ct., San Jose Division Case No. 5:07-cr-00373-RMW), it appears that the fraud these two individuals engaged in involved overstating the value of inventory on a borrowing base certificate submitted to an asset-based lender that the FDIC insured. To overstate the value of inventory, the fraud had a three pronged attack: 1) value inventory at retail selling price instead of purchase cost; 2) value inventory at a cost that did not take into account the value of significant discounts the supplier allowed; and 3) inflating the quantity of inventory on hand. The fraud lasted about two years and overstated inventory by about $16 million dollars. To detect this type of fraud, a typical due-diligence exam employs test counts and cost tests. The very first time the lender caught the fraud it could have immediately moved to limit its losses. A due diligence exam conducted before funding and at least once a year would likely have detected this fraud. The estimated cost of such an exam, about $14,000 each. According to Reuters, on February 1, 2012, two former Credit Suisse (“CS”) traders plead guilty to conspiring to falsify books and records and to commit wire fraud stemming from the collapse of the sub-prime mortgage market (http://ca.news.yahoo.com/ex-credit-suisse-traders-admit-cooking-subprime-books-005027132.html). On the same day, the SEC filed a 32-page complaint in the US District Court for the Southern District of New York against the traders and others (Docket No. 12CIV0796). The SEC Complaint alleges that the traders manipulated CS’s mark-to-market mechanism to hide losses in a mortgage-backed securities portfolio. To hide losses, the traders manually overrode CS’s market-pricing tools. According to the Complaint, CS had a Price Testing unit “responsible for reviewing the prices assigned by traders, but in practice the unit lacked the expertise to adequately challenge pricing by traders and Price Testing personnel were often deferential to the views of traders.” In the end, CS had to write-down the value of its portfolio by $2.6 billion with an earnings effect of $650 million. On January 11, 2012, the Folsom Telegraph reported that a 29-year old man from Folsom, CA, plead guilty to one count of wire fraud and one count of aggravated identity theft related to a $19 million fraud scheme. According to a complaint filed in the United States District Court of the Eastern District of California, Docket No. 2:09 MJ00046KJM, one part of the scheme involved offering investors a real estate vehicle in which the investors served as nominees for the purchase of real estate. The Complaint specifically references Citimortgage and the falsification of mortgage materials Citi relied upon to fund three mortgages. The investors did not serve as nominees, but actually owned the real estate and Citi thought the mortgagees intended to occupy the home whereas the investors thought they had simply invested in real estate managed by another. The most interesting part of the Complaint, however, concerns the attachment the government included in which the writer discusses how the writer: (a) became a fraudster; (b) beat the regulatory system; and (c) how to change the system to prevent people like the writer from beating it. The fraudster proposes combining Freddie, Fannie and other governmental entities as well as creating an information verification center. The writer also notes that investors like Citi did not verify the data that supported the loans such as credit reports, W-2’s and paystubs. When an investor did catch a fraudulent loan, the writer claimed the loan an anomaly, fired the person that generated the mortgage and replaced the fraudulent loan with another loan. Investors, in turn, packaged these loans into mortgage-backed securities. According to the writer, the writer’s firm generated $810 billion dollars in mortgage-backed securities in which most of the underlying mortgages had some sort of material fraud made in order to fund the loan. The writer also asserts “[t]hese investors, who were securitizing these assets as AAA rated were not even verifying anything in the files? I am sure that their investors were assured everything from correspondents was being audited.” As a stakeholder, investors needs to conduct its own due-diligence. Firms like WJ Burns, Esq., CPA can help in this regard. 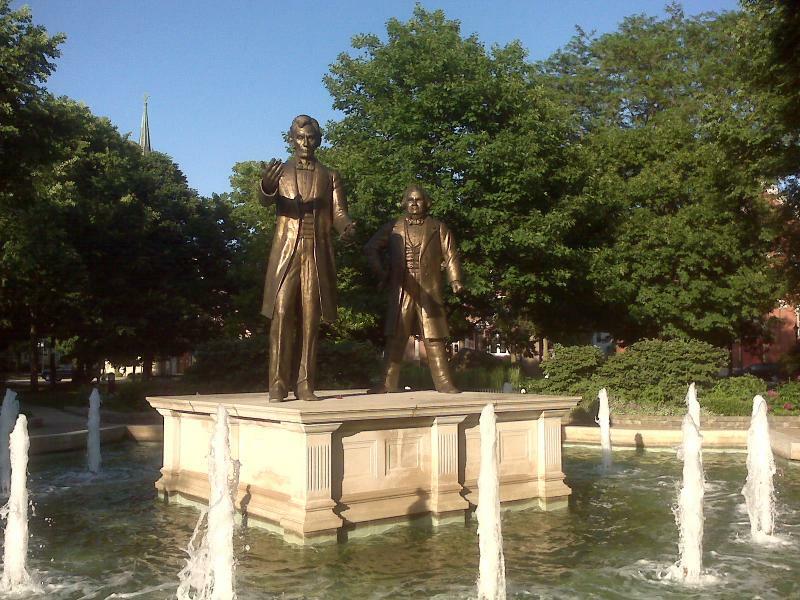 Ottawa, IL - Host of the first Lincoln-Douglas debate. This website may constitute attorney advertising. Prior results do not guarantee a similar outcome. Any correspondence based on this website does not constitute an attorney/client relationship. Neither the content on this web site nor transmissions between you and William J. Burns through this website are intended to provide legal or other advice or to create an attorney-client relationship.